SimpleNote, the Free cross platform note taking app, has been updated to version 1.5.2 (actually 1.5.3 with a bug fix update is available), to add support for a useful feature. 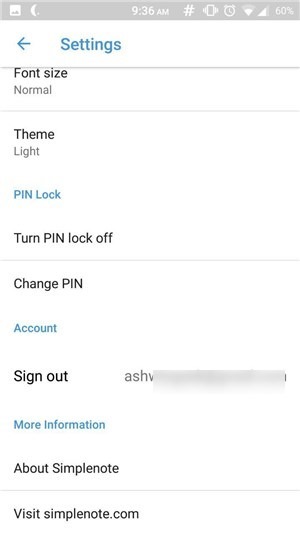 The Evernote alternative service's app, now works with Android Phones which have a fingerprint scanner. To use your fingerprint scanner to unlock the app, open SimpleNote > Settings > Turn On PIN Lock. 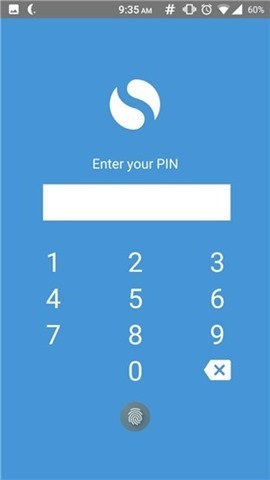 Set your numerical PIN, confirm it, and close the app or shift to another one. Now go back to SimpleNote and you will see the unlock screen. If you have a device running on Android 6.0 Marshmallow or above, you can simply place your finger on the fingerprint scanner to unlock the app. This works similarly to LastPass and other apps which support the Nexus Imprint API. In case you haven't used SimpleNote before, here is a brief description of the app. It is quite similar to ColorNote Notepad Notes, another brilliant note taking app, with a focus on offline notes + Google Drive/Dropbox Sync. SimpleNote has its own account system, and syncs to the cloud, and across all devices you use. It is made by Automattic Inc, the developers of the popular website platform Wordpress. It is completely free to use, has no ads or In App Purchases and works on Android, iOS, Mac, Windows (7 and above), Linux, and Kindle Fire devices. 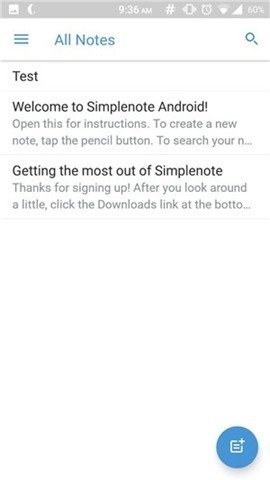 Download SimpleNote for free from the Goolge Play store. It is one of the few note taking apps with a proper desktop application, which is why I use it on my computer and smartphones.